little download link and I almost expected to be rick-rolled but lo and behold, a file was downloaded. I extracted the file and ran the setup file, accepted to sell my soul to the devil (AKA EULA) and off we went. So, this was the game “Smooth operators – Call center chaos”. hostess who likes to give you good and useful tips every morning that you pop into work. job seriously. You also have 20000 cash to play around with. and BackOffice (BO) wich takes care of the administrative side of things. that gets thrown at you. workers to go a full day without taking a leak or a snack. damn you to bankruptcy if you dont. and they where easy, most of the time. This game seems to be designed to be a challenge. hours on end, trying to balance it all out, getting people to do their best and whatnot. coordination? This game is for you. My hat is off for Andreas Heydeck Games you made me very happy, and my social life unhappy..
Now, shoo.. I have to play some more. media pirates are willing to pay for media in various ways if it has easy distribution. (Look at spotify will you). as not being plausible, for instance to include boxart and extra content and similar issues. So what is that then? 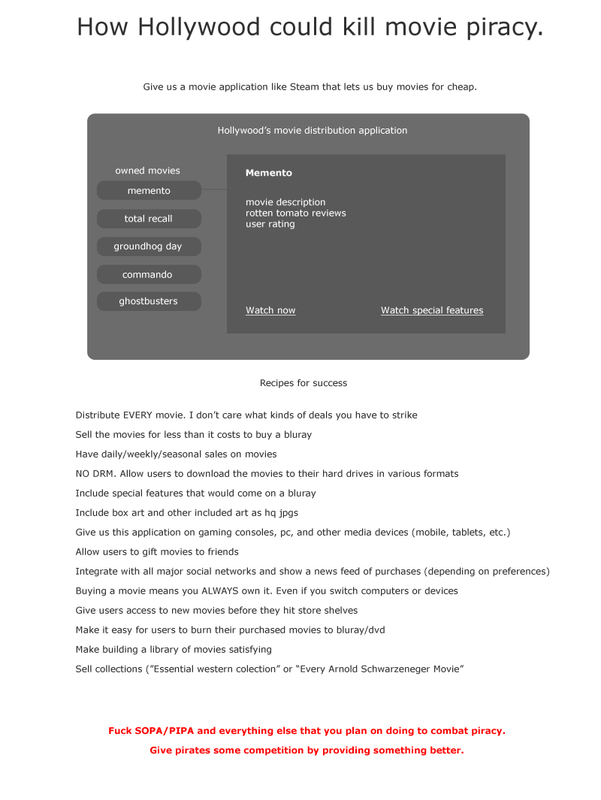 Well, it is an application that can simplify distribution of movies and tv-shows. You can also order a physical disc and THERE is where the extra content should be stored. one or two extra for as a bonus. So that once you buy this movie, it is a file that you “own” so to speak. the user tag and promptly ban this user from further purchases and from using the network. PS3 and Xbox360. Do you see the market impact this has the potential to have? in generated money from people. once again, look at spotify. Music download has drastically gone down since the start of it. Who is really leeching on who? you mac addicts burst up in flames. iTunes is a vampire/leech/whatever bad description you can think of. are also bashing spotify, however, they themselves own a majority in spotify. doesnt want you to read, since reading may be caused by independent thought. The CD in itself is 159 SEK, estimates to roughly 18-20 dollars. There are 46 tracks. So, 159 divided by 46 is 3.45andalotomoredecimals. 3.45 is about 53 cent or thereabouts. to listen to has streaming capabilities, spotify. Now who is the leech? Itunes, or the record companies? en barnvåldtäkt eller brutal misshandel . i och med domen mot en 60-årig man i uppsala idag. rätt att kräva ut uppgifter angående ett IP nummer av leverantörer. Varför gör polisen inte sitt jobb då? Eller snarare, varför tycker inte jag det? andra kanaler än deras egna. död i mer än 75 år, men ni fattar poängen. och hoppas att mer pengar kommer att skjutas till. Jag skulle dock vilja veta om vi alla är lika inför lagen. så måste ju brottet klassas som grovt, inte sant? så är man tydligen exkluderad lagen. Jag skulle vilja ha en prövning. av HTML, PHP, ASP samt annat scriptspråk. Ni säger att den som har rent mjöl i påsen har inget att dölja. Seså. Öppna era påsar (datorer) och visa det rena mjölet.